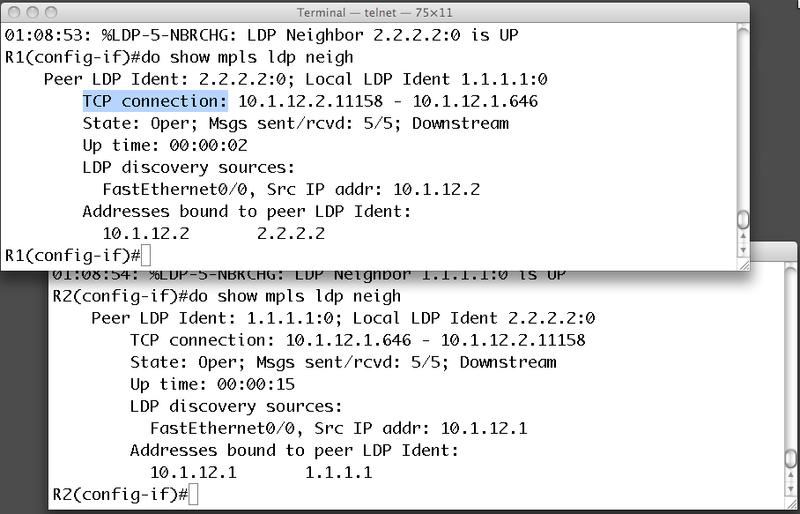 LDP periodically sends hello messages (every 5 seconds). 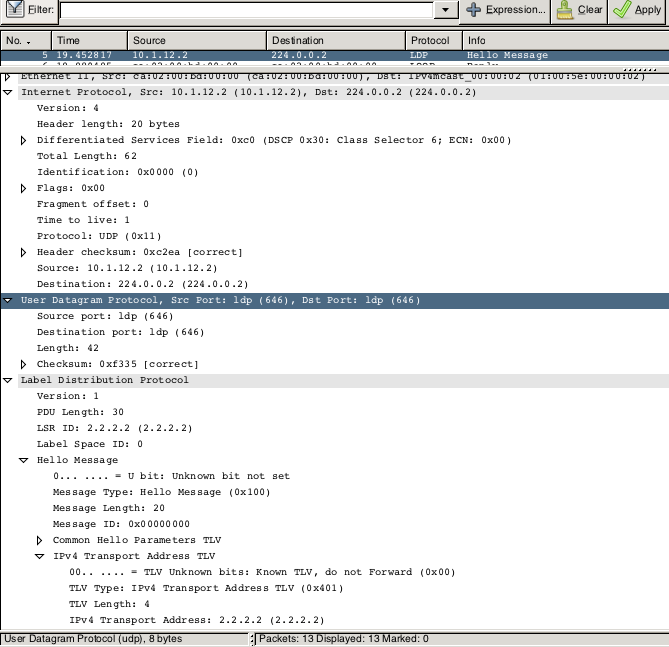 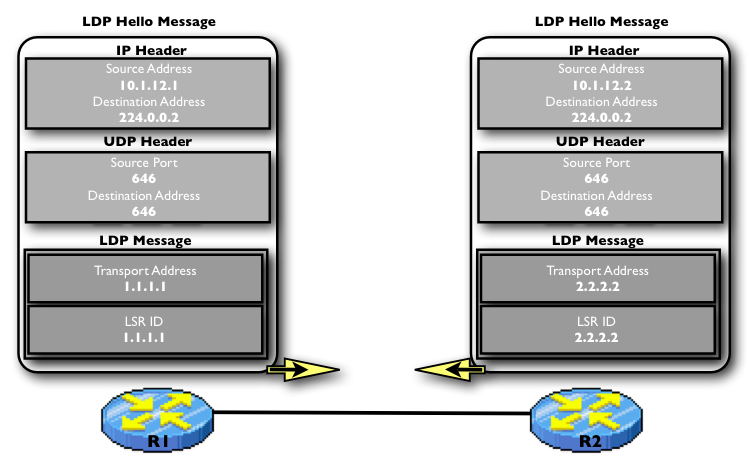 The hello message, which may optionally contain a transport address type, length, value (TLV) to instruct the peer to open the TCP session to the transport address instead of the source address found in the IP header, The LDP identifier (LDP ID) is used to uniquely identify the neighbor and the label space. 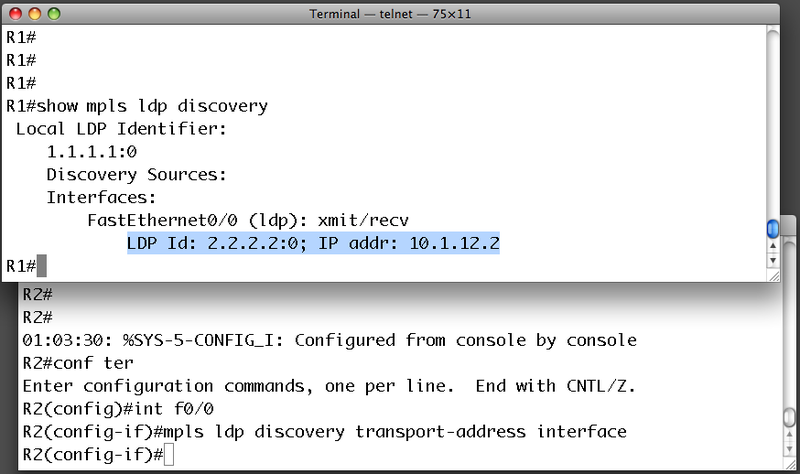 if we change now the transport address, say that you are not allowed announce the LSR ID via any IGP. 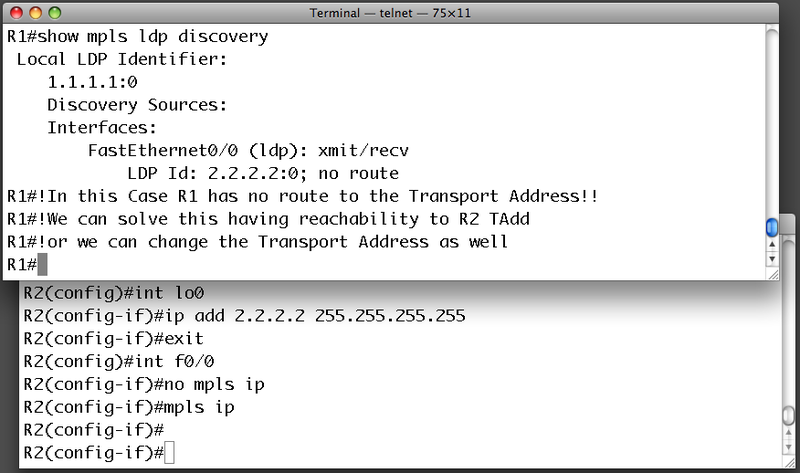 having now reachability to the transport-address, a neighboring LSR will respond by opening a TCP session with the same destination port number 646, and the two routers begin to establish an LDP session through unicast TCP.